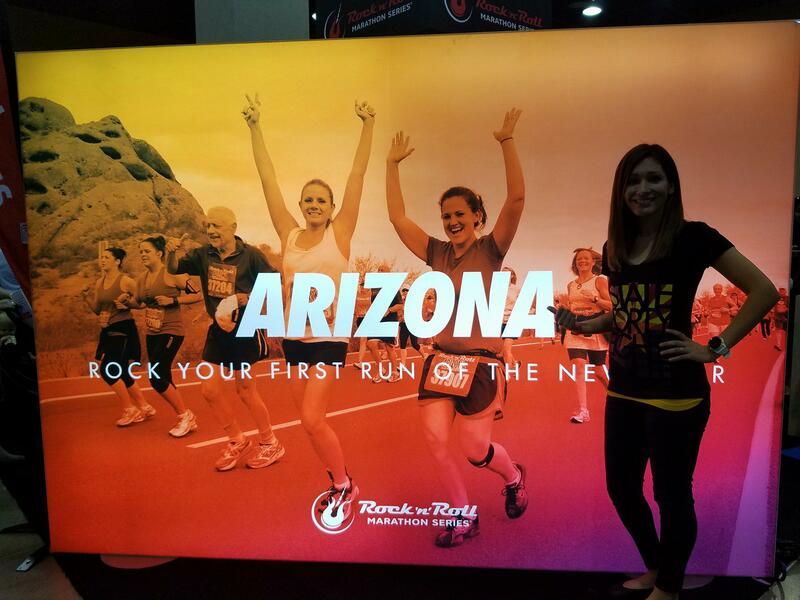 Rock n Roll Arizona: The Expo and Pre-Race! 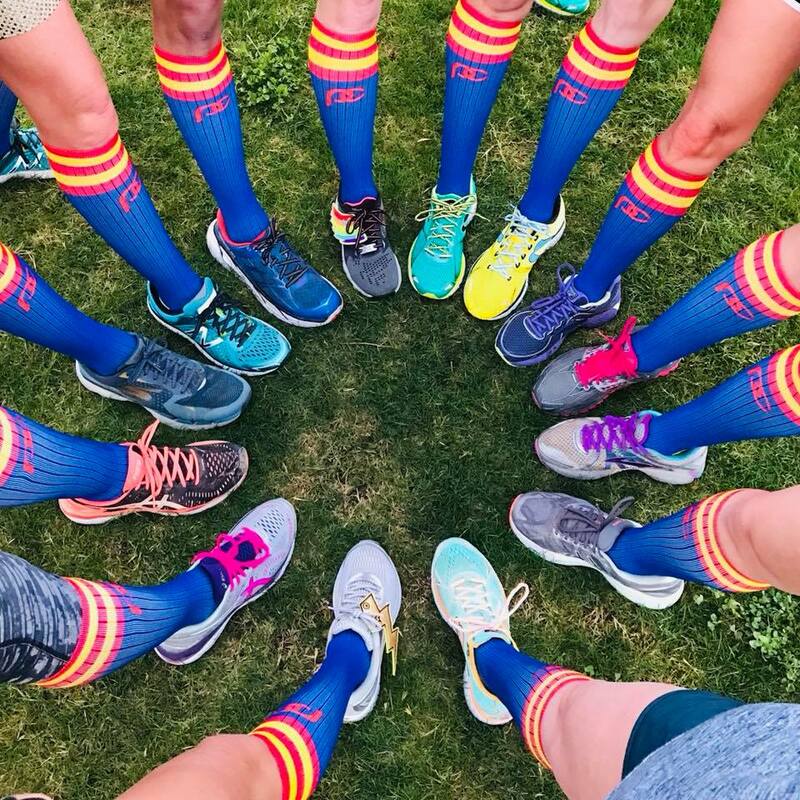 I’m back for a second year as a Rock ‘n’ Blogger (RnR Ambassador) so I was excited to represent this year and take a closer look at things so I can (always truthfully) relay info back to y’all. 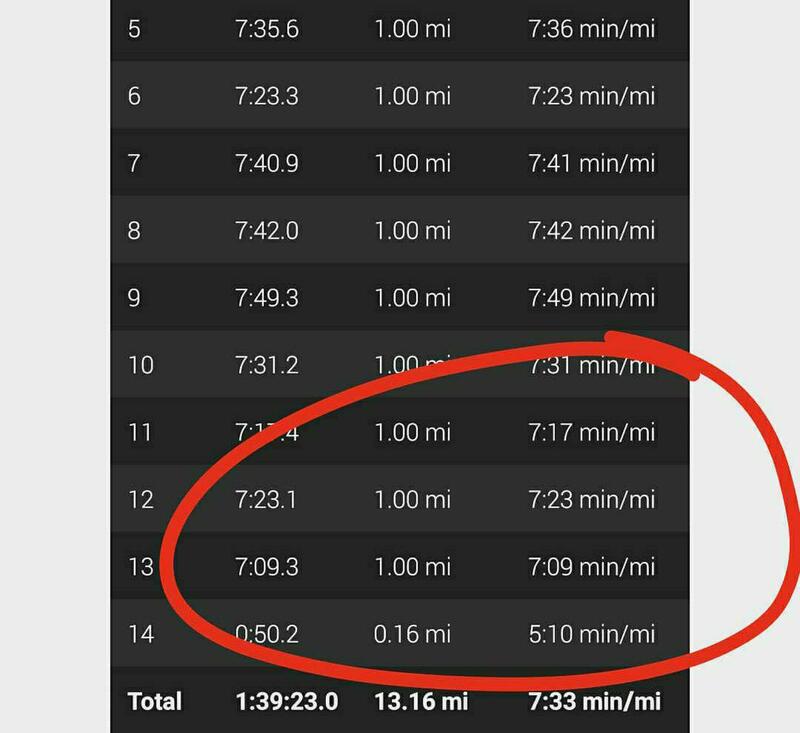 This year, there was a 1 miler race on Friday and a 5k race on Saturday morning. I had friends do both and who said both were fun. 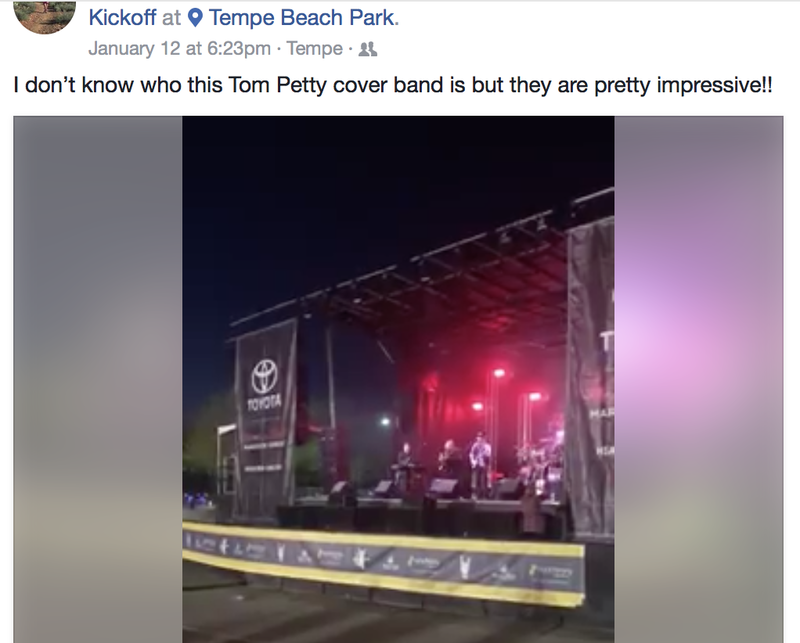 One said the band playing after the 1 miler was legit–a Tom Petty cover band! I was already having FOMO and that just intensified it. The expo seemed small, but I don’t mind small expos. I did a loop and half, snagged some Honey Stinger waffles then took a quick ProCompression pic and I was done! 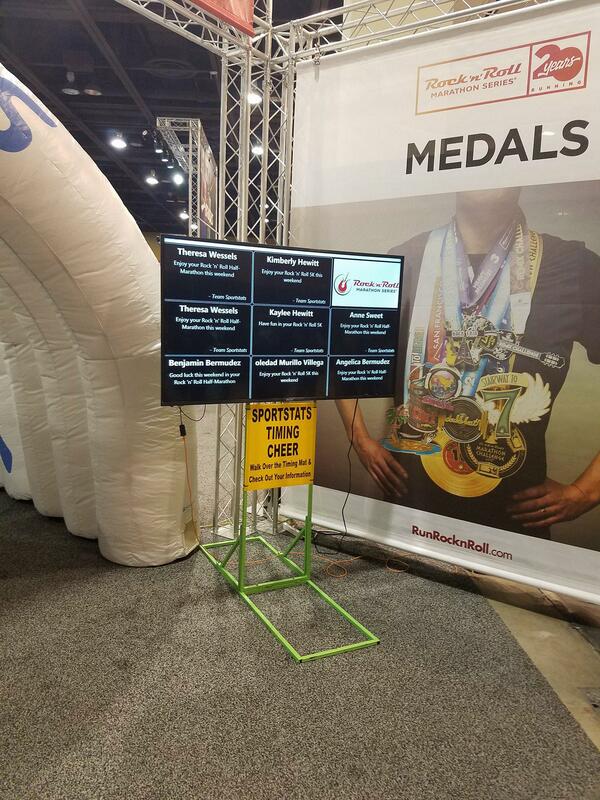 I like that the expo is in downtown Phoenix (where the marathon starts) since we rarely make it down there, and it’s a good excuse to take our time (that, and parking costed $12 so I was going to milk it!). 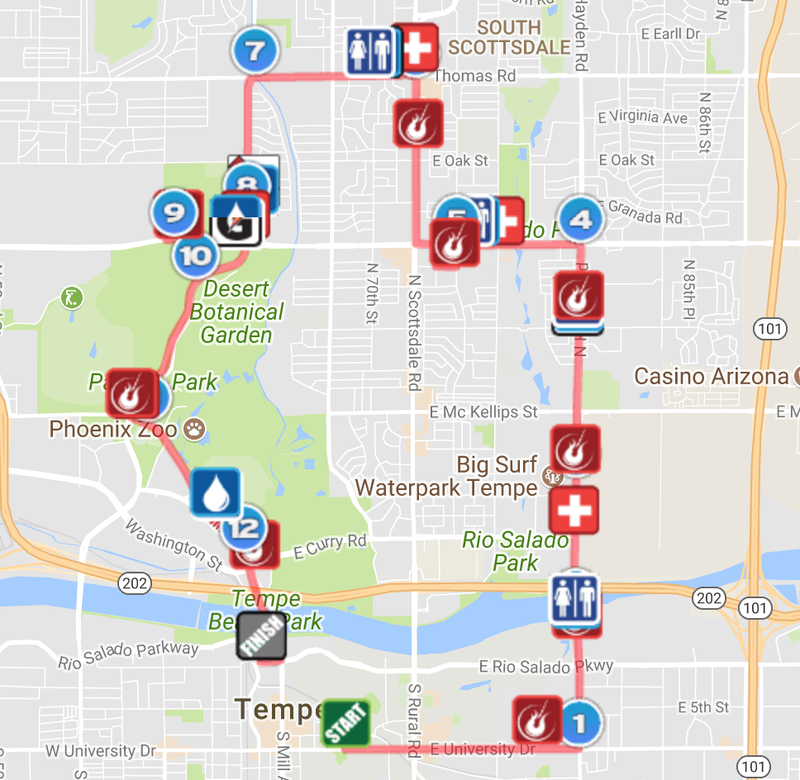 If you’re coming from out of town and doing the half marathon (which starts and ends in Tempe, not downtown Phoenix), you can easily take the light rail to the expo. 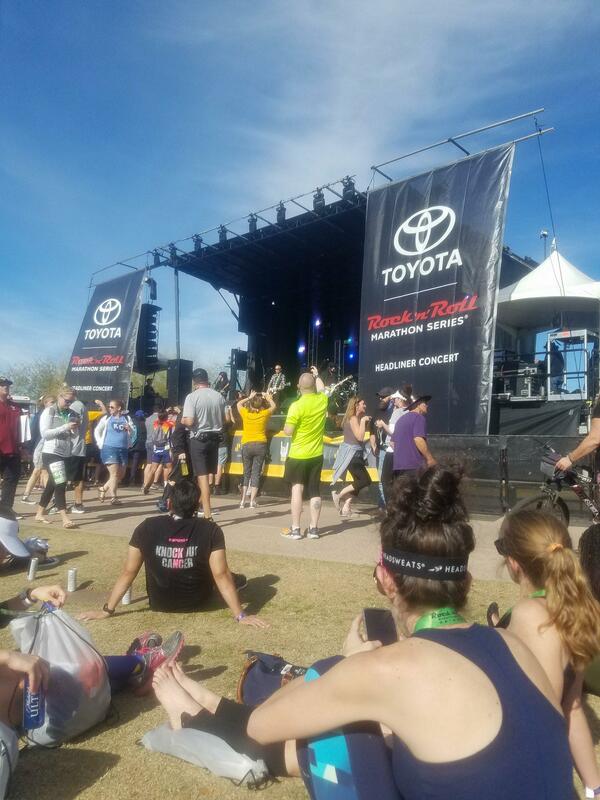 As I mentioned, the half marathon starts and ends in Tempe, Arizona (but goes through Scottsdale and a tiny little section of Phoenix). People complain that it’s not “scenic” but you’re in the city, and I’m not sure how scenic it could be. I think if people are coming to Arizona because they want desert, they need to hit the trails. 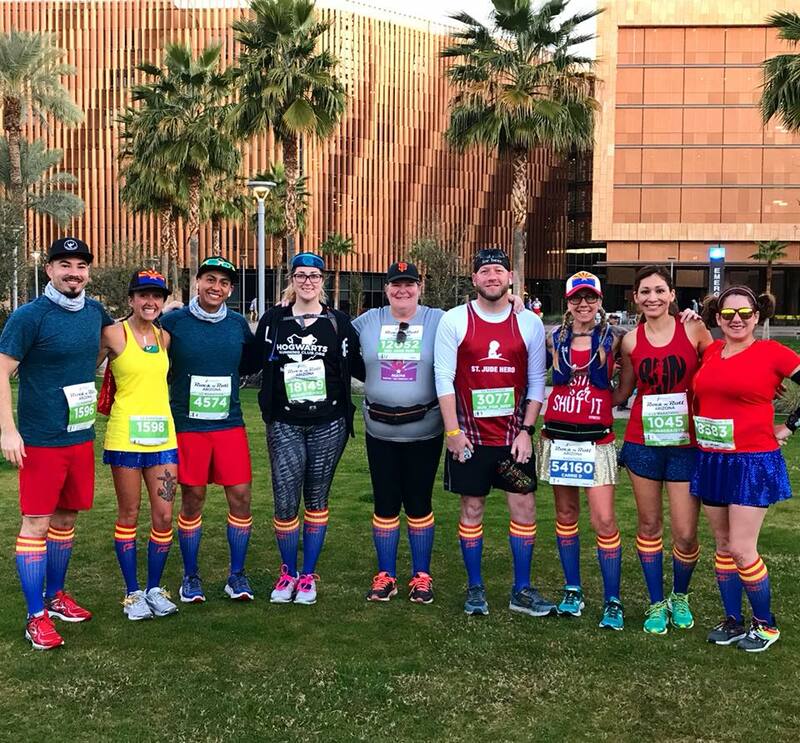 RnR Arizona does what it can in providing a visually appealing course–it’s start in Tempe’s Mill Ave district and ends at Tempe Town Lake. The middle portions are city streets which is unavoidable–you’re in the city. There’s a nice section (where the big hill is at at mile 9) that takes you around the Desert Botanical Gardens area and is a bit more desert-y. I like that it ends at Tempe Town Lake because it’s a huge area where you can hang out with friends/family afterward (with plenty of food options walking distance). Plus, the band is literally right there. Super convenient. By the way, this year Everclear performed and I totally relived my 90s youth. Anyway, my husband and I are pros at this race as we’ve done it the past….oh 5 years?? 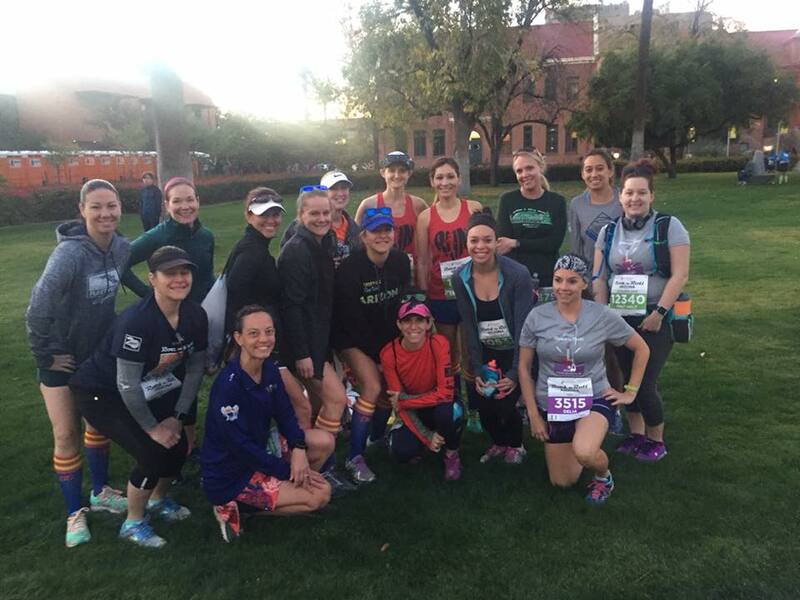 We drive to a park-n-ride off the freeway (in Mesa) and take the light rail to the start line in Tempe–which happens to be at my alma mater, Arizona State University. 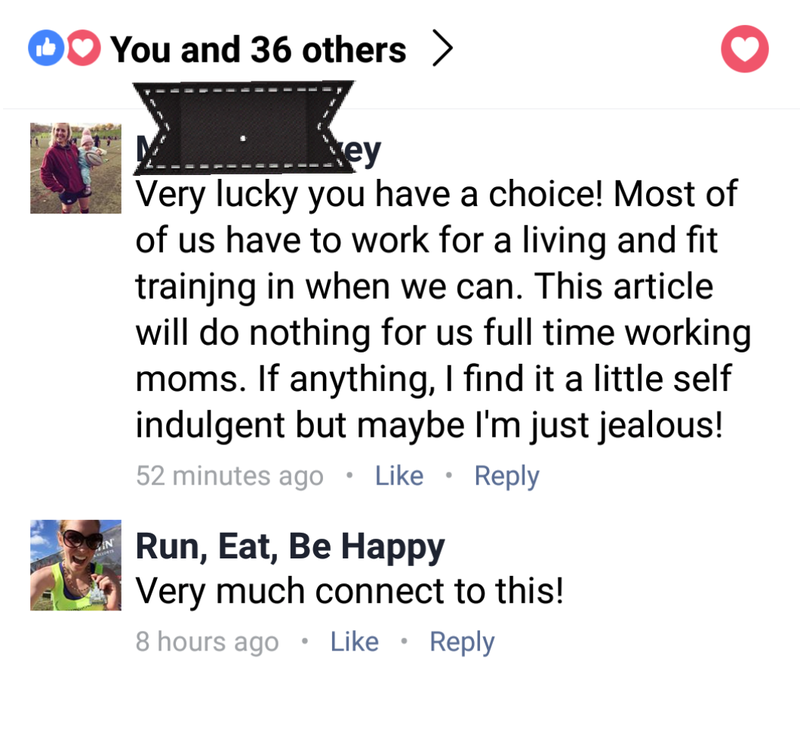 Big reason why I love doing this race. I love coming back to my old campus stomping grounds 😀 Go Devils! We arrived suuuuper early, because that’s how I roll, and because I also had to squeeze in 2 warm up miles and attend 2 group pictures, LOL!! It was while I was handing things over to my husband for gear check that I realized I LEFT MY SPIBELT WITH GU INSIDE IN THE CAR!!!! And remember, my car was back IN MESA! I could feel my anxiety rising and tried hard not to panic. “It’s only a half, I will survive,” I told myself. 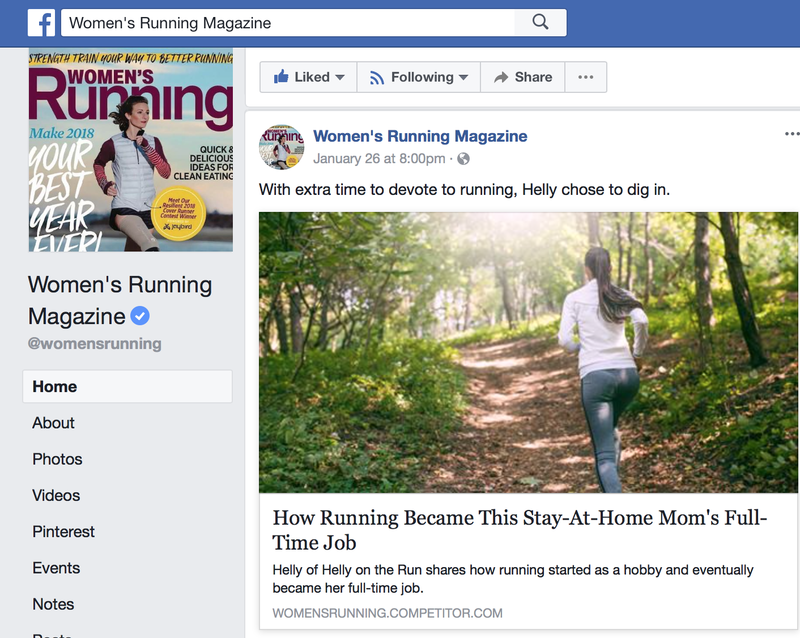 But because I was shooting for a PR, I really wanted everything to be perfect. This was not perfect. One of my MRTT girlfriends said she had an extra Huma gel she could give me and even though I hadn’t tried Huma gels before, I figured something was better than nothing. I mean, it’s not like they say to not try anything new on race day or anything. I tried to get back in the zone. Like I said, I’ve done this race many times. I know this course. I know exactly what’s coming. 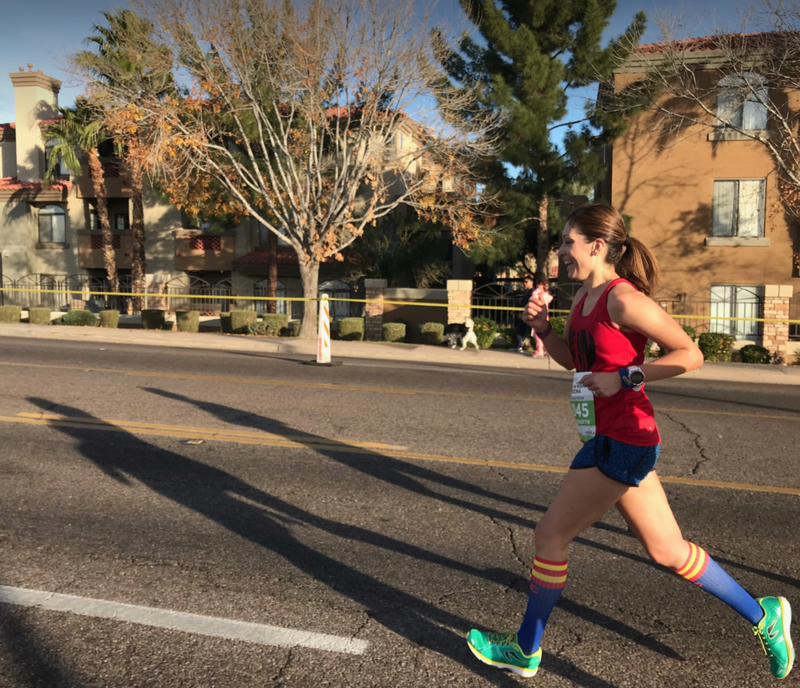 Race deets: Always on MLK weekend, always at ASU. I knew that from the beginning, it’s a slight uphill that at parts you can see/feel and at parts not. 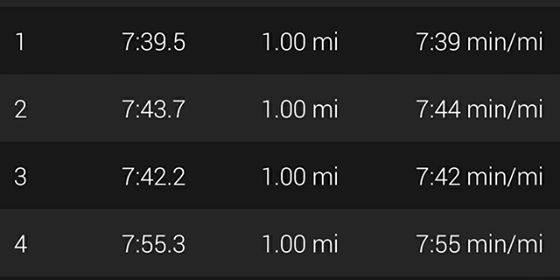 I also knew there’s a “big” hill around mile 9 but that after that, you’ve got a fast finish 5k. I told myself to work it to the hill.